[GunZ] GunZ: The Last Duel | Play for official way Vanilla Server Lead-platform! 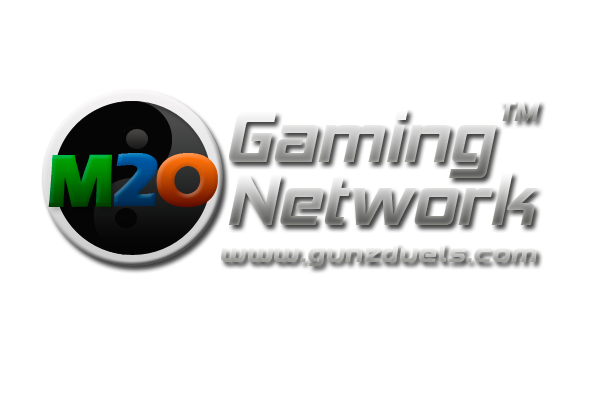 M2O Gaming Network : M2O Gaming Network - Advance Beyond Limits! Hello Gunz fans Check out Most Active NA server! Tired of overpowered, unoriginal, easy and unchallenging game play from private servers? 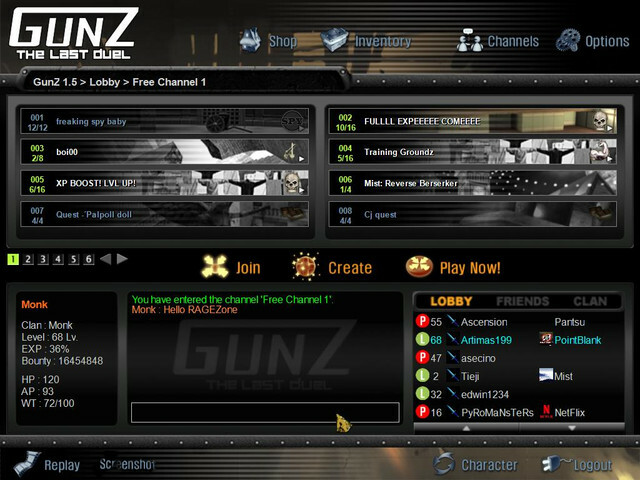 Join us on this fully original, official, lead style GunZ platform. Everything is unedited and is as tough as you remember! We encourage old fans to return and challenge new gamers to embrace and engage our dynamic environment! GunZ: The Last Duel, or just GunZ for short, is a 3D MMO Shooter with a third person camera angle. 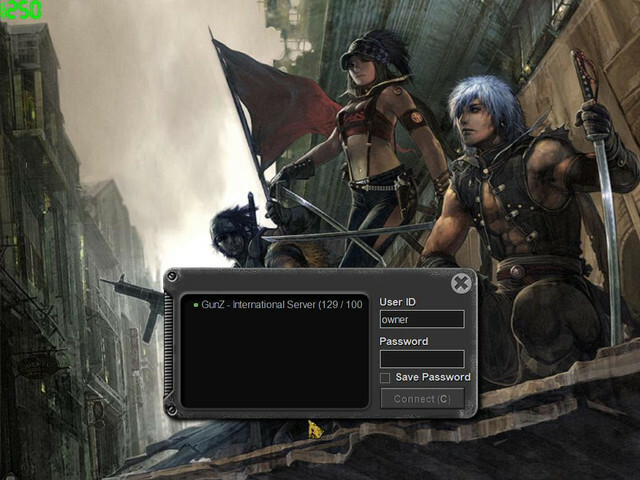 GunZ is hands down the fastest paced MMO Shooter out there with astrong emphasis on both swordplay and guns. Run on walls, deflect bullets with your sword and perform other gravity defying action moves while trying to destroy yourenemy! That’s the premise of GunZ, straight up fast paced action. it to purchase new weapons and armor from the game’s store. TOP NORTH AMERICAN SERVER CONSISITENT PROFF! Last edited by MonkINC; 31-12-17 at 06:37 AM. Re: [GunZ] GunZ: The Last Duel | Play for official way Vanilla Server Lead-platform! You make me laugh m8. Hello gamer, Please be advised the B2O concept and it's idea was given by me to B2O Owner ( Riishi) Few years back. Now M2O has been launched to North american region. New updates, check us out! Upgraded bounty shop, New mode, increased experience rate for limited time only! I wouldn't recommend this server, The owner hacks on different type of gunz servers. Then tells those players from those servers to join his server. Frankly i'm tired of this guy and his server, He's very disrespectful to people and or servers. Posting on other servers advertisement thread and so on. This server isn't any bit good at all, They are trying to look official but this overall server bluntly said is a "JOKE"
Nothing special about it, I highly advice nobody to even download the client as it may be packed with a sort of virus, Keylog and or anything els. The website was already once infected with a virus and i didn't bother to check now as it is very risky. For your own safety and sake. Ignore this server. 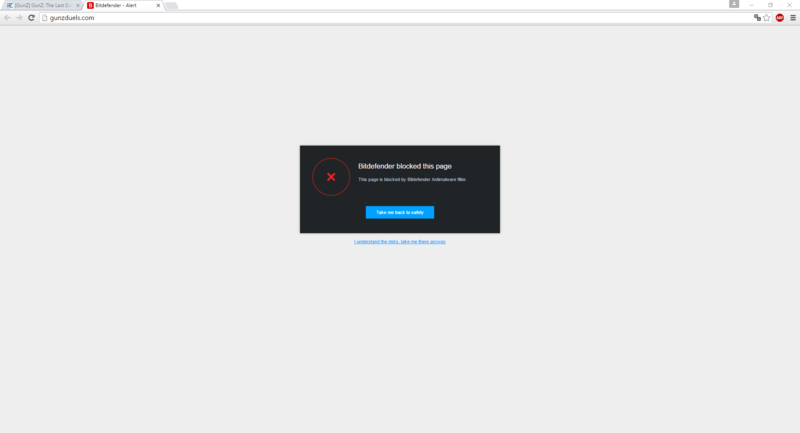 P.S This is my paid bitdefender blocking their website. Last edited by MonkINC; 14-06-16 at 08:30 PM. On the iOBIT screenshot you seem to have only scanned 1 object.. interesting. Hm okay fair enough. But you really should get the website virus problem sorted out, it could affect the amount of players you get to the server because they may feel the client is infected by seeing an infected website. If it's not infected, then you need to contact the anti-virus companies which block them to do a review of your site so it can be whitelisted. My website contains no virus, it's probably only virus scanner in the world that indicates this ''false positive''. Or else google would have listed it as warning. Anyways thanks for the heads up, i'll solve this matter quickly. Theres no virus. I've been on the website for a long time and downloaded the game, didn't have any problems. You guys believe what you see too much its a problem. Go find another hobby and leave this server alone yeah ? Check out our new game modes and updates! New free coin system added at the control panel guys enjoy!